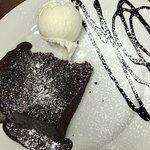 01/04/2019: Dropped in for a bite to eat after walking down the old Glenfield railway line which comes out at the side of the pub ( nice walk ) on Saturday lunch time,food was good service very friendly as were the girls behind the bar and the Gold beer i had was exceptional,will definitely visit again thumbs up. 11/04/2019: We bought one Groupon voucher and so we had the Banquet Menu, and let me tell you...it was delicious! 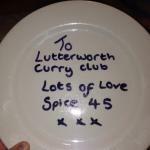 Hands down, best chicken tikka masala we ever had! Definetly recommend! 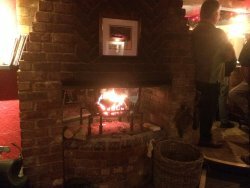 05/04/2019: Had a lovely meal here tonight. Food and service excellent staff super friendly and very amusing. We visited from Rothley and Australia and loved our meal. Will definitely be back soon. 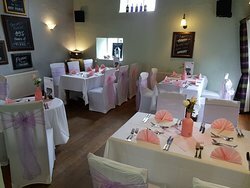 07/04/2019: we cam for a 40th birthday party, venue is great nice and clean. We ordered food starter was ok, ( baked camembert with only 3 slices of ciabatta ). when my daughters main course came the waitress just passed it straight to my daughter and burnt her finger with the plate, NO WARNING about the plate temperature. I wanted to complain but as it was a celebration I didn't want to be a party pooper. Main course was one pork chop of mustard mash. tasted great portion size of a kids meal. We paid our £50 bill when the hostess could be bothered to attend to us, we were handed a card machine no awareness or thanks from the staff then we left. Real shame expectations were high !!!! my daughters finger is still red ! we won't return. 06/04/2019: Fab time. Witney our waitress was brilliant! Really looked after us and attended to our extra needs with cake and having gluten free guests in the party Lovely food, arrived quickly and tastes great. Will be back again for sure! 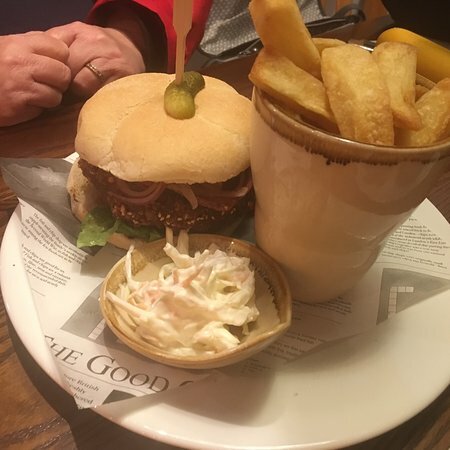 14/03/2019: The family and I had a meal in the Bluebell for my birthday. I can not fault the food, the service or the staff. We stayed for the rest of the evening as a live band was very on, it being a Friday and they have music every Friday. Huge range of gin to choose from so I was happy. 06/04/2019: We enjoyed everything at Spice 45. The menu is very varied with something for everyone. Food and service was excellent. The restaurant has a nice calming feel about it (although it was a little bit cold). They also do take-aways. 22/02/2019: We use the takeaway service here quite often and it’s amazing service and food every time! 02/04/2019: Had a sizzle meal with my husband, a special night out. 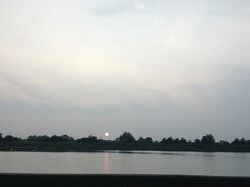 01/04/2019: We have been to Stanton Lakes before but had forgotten what a little gem it is. We were given a warm welcome and felt at ease immediately. 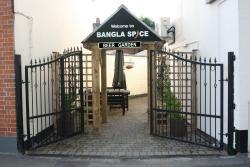 18/11/2018: Bangla Spice is our favourite curry restaurant and we had another great meal tonight as a take away which was delivered quickly. We both had Chicken Katta Mitta, which has only recently been added to the menu, try it, you can thank me later! 13/11/2018: Food as always is so tasty. From poppadoms, starters and mains they are full of flavour and definitely one of our favourites. 18/04/2019: From the moment we walked in (first visit for my fiance) greeted by the restaurant manager?? Not 100% sure? But enthusiastic greeting, explained how bar and restaurant differed for lunch service. We decided on bar, barman again chatty friendly and welcoming. We had a bit of banter and sat down. 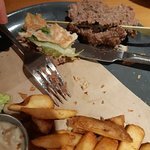 I ordered but was unsure of the BBQ sauce on my salad so the chef cane out personally to make recommendations about my dish and made himself personally accountable if I didn't like my choice based on his recommendactions. We had a brilliant positive lunch experience with these guys. Well worth a visit. Food delicious and they have the space between courses perfectly timed. We will come back!! 17/04/2019: I don't normally give a mark of 5 for chain pubs as it doesn't give chance to differentiate between them and more expensive venues. However, I try and mark as I see. The venue offers some different types of seating and is pleasant enough. For mid-week it was amazingly busy. So busy in fact I think it was the last table even though it was early. I cannot fault the staff. There were just enough on even though it was busy. Every one was polite and we didn't wait long for drinks at all considering (table service). The menu is new and there are some welcome changes, it offers a bit more than it used too. The starters arrived quicker than expected and were nice. The main was perfectly cooked. I mean perfectly, easier said than done when you like your steak a particular way. Hence, a rare mark of 5 from me. 03/04/2019: Lovely tasty roast pork lunch with plenty of real veg. Two course lunch great value. Helpful staff and nice and clean. Will return. 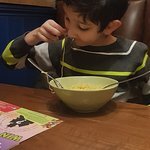 17/04/2019: Our first visit to Bella Italian has left a very good impression, thinking of what choices we could try in future is always a good sign. Had meatball starter , followed by carbonara, and cookie dough. 24/03/2019: I think this is a good restaurant for a family outing with children. Service is good. There is a wide range of dishes on the menu. Seating comfortable. Plenty of parking. However, I found it rather busy and noisy. As we had children with us, this was fine - we felt under no pressure to keep them quiet! However, due to the noise level and general hustle and bustle, I would not choose this restaurant for a night out with adults or for a quiet romantic meal. 08/04/2019: Came here for a work lunch for 19 people and this was definitely the best place to choose. 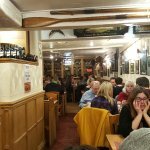 The staff could not do enough for us and the food was excellent. Despite being a large party this did not affect the service whatsoever and the food was absolutely delicious. 28/02/2019: Authentic and beautifully prepared Italian food served in relaxing contemporary surroundings. I've never had a bad meal here and the wine list is amazing. 03/04/2019: I came here with my family for Mother’s Day. 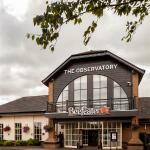 We were made to feel very welcome by all the staff and lovely new owners. 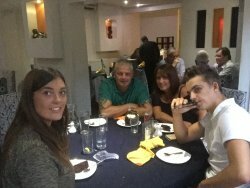 The food was absolutely amazing and service was impeccable, we didn’t need to move for anything not even to get a drink! The three course menu was definitely value for money! 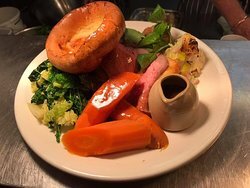 The best Sunday lunch I’ve had by far in a long while! My mum and my sister in law (a mum to be) got a lovely little gift that added the extra personal touch! For sure I will be returning! Definitely recommend the lemon tart!! Thank you all for making our day so lovely and special! 03/04/2019: We went for mother’s day lunch , which was so disappointing regarding the starters and sweets, main course was good however for prawn cocktail they served us 5 small prawns on dry lettuce, apple crumble was sliced apples with a few crumble crumbs sprinkled on top , really poor , Royal Oak used to be a top restaurant, not now , we won’t go again poor. 31/03/2019: Great place to eat friendly staff and at a good price, the service was good did forget to bring our dessert out but that was not the end of the world, they were busy. 29/03/2019: Stopped only because were were driving past and needed food. Great choice and great price. Nice service and not too noisy even though it was busy. 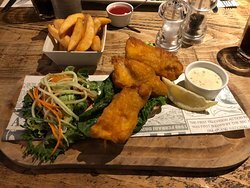 12/02/2019: This place was truely lovely, Well worth the value.i had the cod and chips, and for me fantastic, it was gluten free. It really reminded me of my childhood with my grandparents, as the served picked onions, bread and butter with the fish and chips and a pot of tea. By far the best fish and chip restaurant! It was a recommendation and i certainly can see why, i will be returning.